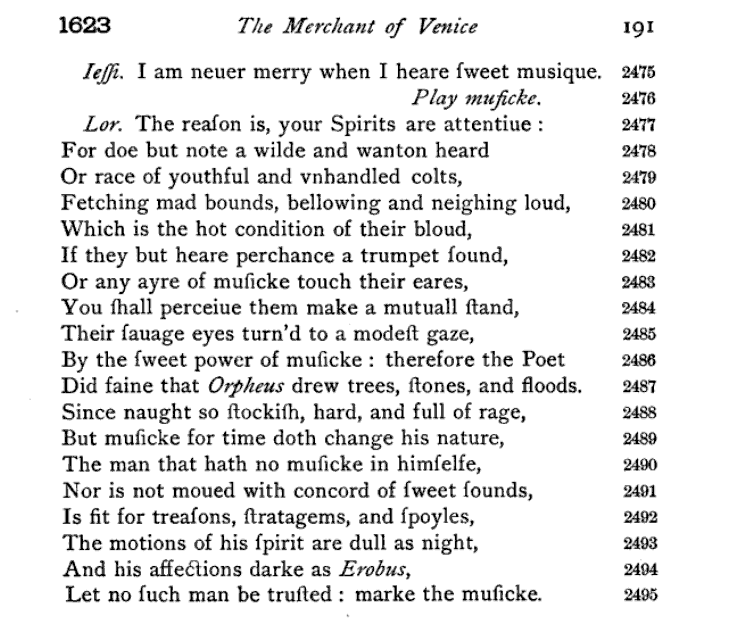 From an enquiry in the OED on the word “savage” I was led to a line from The Merchant of Venice, which in turn led me to the broader context in Act V of the play. Here is a delightful part of Act V, sc. i about the effects of music. I don’t know that this is one of the better known parts of the play, but it deserves to be.